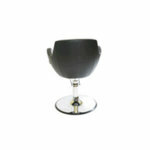 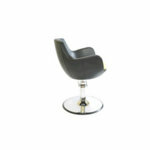 Direct Salon Supplies Luna hydraulic styling chair. 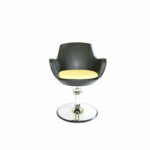 Available in all black or black with the option of coloured seat cushions (can be bought separately when changing salon interior colours, please ring for details 01270630280), The Luna comes on round hydraulic base. 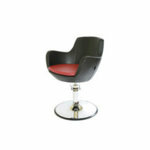 With 5 Year hydraulic warranty. Sizes: seat Width 23", seat Depth 18 ½", total chair Width 27 ½ ½", seat to the top of back 16 ½", total back to front seat Edge 27 ½".